Did you do the survey? Many thanks to everyone who completed the survey. 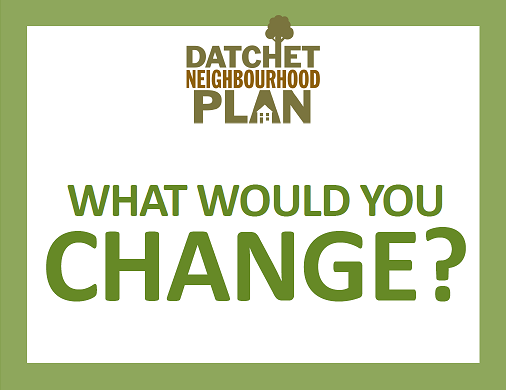 Your comments will help us to create a Neighbourhood Plan for Datchet. 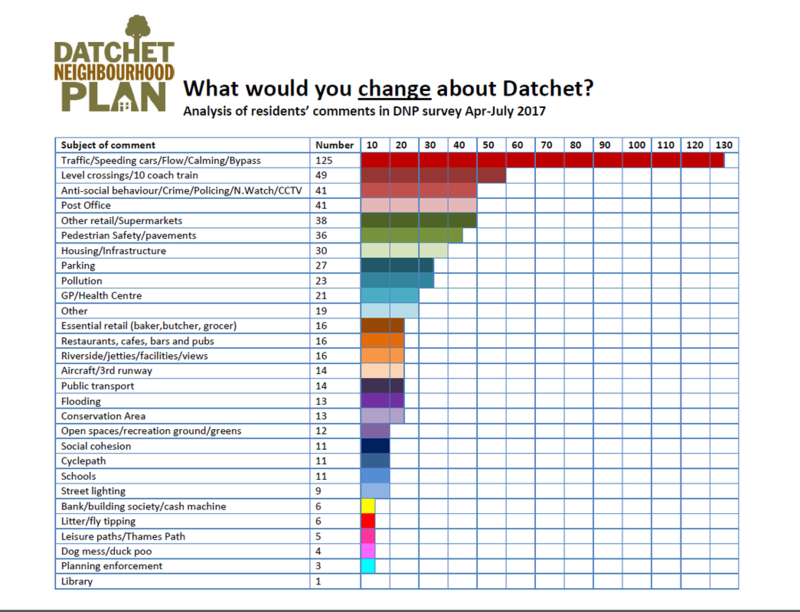 The Datchet Neighbourhood Plan survey about Datchet, asked people who live and work here what they think about the village. 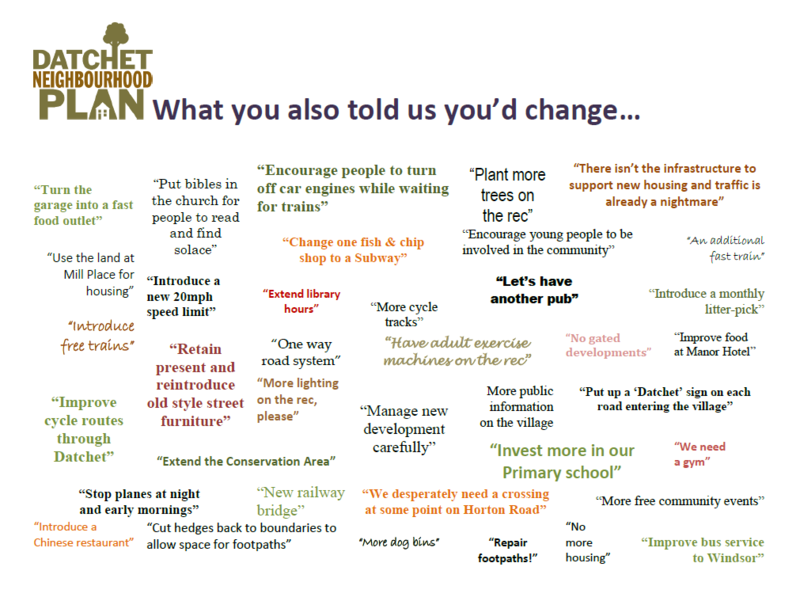 You'd reduce the traffic or introduce traffic calming measures. Many of you said something should be done about the level crossings and the 10-carriage trains. Others would like a bypass. You also thought parking was an issue. You wanted to see more essential shops in the village, such as a baker, greengrocer or butcher. A bank and a post office were high on the wish list too. Improving pedestrian safety and reducing noise and air pollution were also on the list. Some of you wanted it to be easier to get a doctor's appointment.